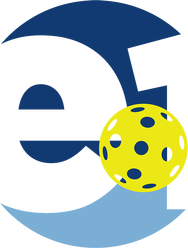 Elevate One announced a full range of pickleball courses and professional-grade paddles for anyone interested in learning the basics of pickleball, a rapidly growing racket sport. Elevate One, a Christian organization based in Waddell, Arizona, announced a complete range of training courses for groups and individuals looking for an introduction to pickleball, one of USA’s fastest growing sports. Offering personalized training under the guidance of certified instructors, as well as high-quality, professional grade equipment, the company helps anyone learn the basics of pickleball and enjoy an engaging and healthy activity. More information can be found at http://www.e1pickleball.com. Pickleball was first played in the late 60s, and has gradually become a favorite with millions of people throughout the world. Similar to tennis, badminton and table tennis, it is a racket sport played on a 44 by 20 feet court, an area considerably smaller than that of a tennis court. This makes it easier for players to keep the ball in play, thus enjoying longer stretches of exercise during each point. Elevate One offers a complete six-week pickleball course for groups of 8 or more people, under the guidance of IPTPA-certified instructors. A typical lesson is one to two hours long and covers a variety of pickleball concepts and skills, including pickleball basics, the dink, the forehand and the backhand, serving and receiving, the overhead smash, and various others. The six-week course includes one weekly group lesson, making it ideal for clubs and communities. Individual pickleball lessons are also available. For anyone looking for high-quality pickleball paddles, Elevate One provides TOPP composite and graphic paddles. The company is an authorized TOPP dealer. Elevate One is made up of André Mooney, Matt Hampton and Tanya Mooney, certified IPTPA instructors and USAPA Collegiate Ambassadors.